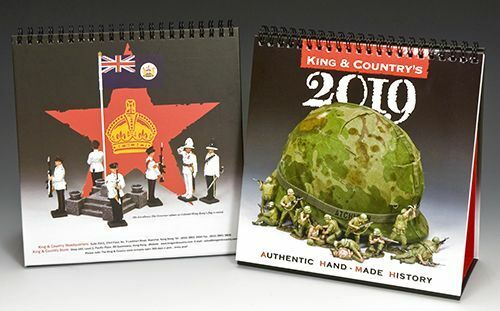 We include a coupon for $10.00 towards your purchase of a future King and Country figure or set, with every 2019 calendar purchased. For Purchases of $200.00 or more, we include one 2019 Calendar for free! Please Note we do add the actual postage cost for each calendar sent. The calendar does not count towards our free shipping promotion.